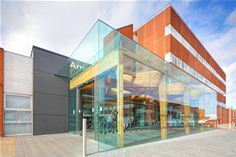 July 19, 2018 – Genmed announces today that it is delivering a variety of vendor neutral managed services for the Countess of Chester NHS Foundation Trust, Wirral University Teaching Hospital NHS Foundation Trust and a shared medical microbiology service run by the two organisations which supports around 700,000 people in the local area. Launched in 2012, the Chester and Wirral Microbiology Service (CWMS) is a collaboration between the two trusts designed to improve patient care, enhance efficiency yet cut operating costs in line with Lord Carter of Cole’s recommendations that pathology expenditure should reduce by between 10-20%.It is addition to other areas the two Trusts jointly partner on such as cervical screening and immunology services. The Trusts had a clear mandate to create a joint microbiology service given both had ageing laboratory buildings and the service in Wirral and West Cheshire was costing around £6.5 million each year. The old onsite facilities were shut, the staffing structure reviewed to achieve economies of scale and a new laboratory bought and located nearby in Bromborough, South Wirral. This is saving about £700,000 per annum on buildings and salaries. The team then turned its attention to procurement benefits. Chester and Wirral Microbiology Service – the purchasing of a range of culture media and antibiotic reagents sourced from a number of suppliers, along with fully integrated on-demand molecular diagnostic systems. To date, across all managed services, Genmed has sourced £1,238,706.19 worth of consumables and also associated equipment. Genmed currently contracts separately with the Countess of Chester NHS Foundation Trust for managed services associated with its hospital and the CWMS, with Wirral University Teaching Hospital signing its own contract. To simplify procurement, this will be consolidated in time so that there is just one Genmed contract overarching the joint services. Easy engagement. Genmed’s services are authorised and available through the NHS London Procurement Partnership (LPP) Framework agreement which speeds up the whole procurement process. Neutrality. Genmed works with all suppliers and manufacturers and is not linked to any one vendor. This means equipment and consumables are sourced based on clinical relevance and are fit for purpose. Fixed price negotiation. As part of its engagement with third party suppliers, where relevant, Genmed negotiates prices over time – typically two or three years – to maximise value, save money and aid financial planning. Simplified ordering and invoice processing. Genmed has established an easy to use order system and manages the whole administrative process. This includes chasing suppliers if products are not shipped on time, driving down delivery costs, and even taking firms to task if they fail to meet expectations. Put another way, the benefit of Genmed managed services go beyond the laboratory with accounts payable and the finance teams saving time and effort as they only have one company to deal with not numerous suppliers and vendors. They receive one invoice from Genmed which is billed quarterly. The creation of CWMS is also likely to be a building block for future developments in the region as pathology services in England are reviewed and consolidated into 29 hubs – an initiative currently being proposed and driven by NHS Improvement. Clearly this is about working more effectively and removing unwarranted variation and cost. This is key as the workload in pathology is ever increasing – in the Wirral and West Cheshire area alone it is estimated that growth is 6% year on year. Based on a spend of £1,238,706.19, a 20% VAT rebate totals £247,741.23 with Genmed taking its 6% fee from this. The net benefit of 14% saved is therefore £173,418.86. Founded in 2007 and based in London and Wales, Genmed is a vendor neutral managed service provider specialising in the health sector. It works with 40 NHS Trusts and Health Boards around the country where, to date, it has 220 contracts supporting a variety of clinical disciplines such as pathology, surgery, endoscopy, imaging along with electronic medical records, IT and facilities. Genmed’s asset finance requirements are funded by large blue chip partners including Societe Generale, GE Capital and Barclays Corporate. Currently Genmed’s contract portfolio totals around £430 million.